What an incredible, amazing book. I really understand why when I posted about this book, people were very "!!!! YOU MUST READ THIS BOOK!!!" The Last Namsara follows Asha, the daughter of the dragon king. She is a dragon slayer and takes on the name of the goddess, Iskari -- the destroyer and death bringer. She has been locked into a life with little choices left for her and she is given an opportunity to free herself from the betrothal to the awful commandant in exchange for killing the most powerful dragon of all. However, Asha finds that she has been told many lies in her life and it is with the slave of her betrothed, Torwin, that she may finally find the truth. I really really love the world that Ciccarelli has created in The Last Namsara. It's complicated and rich and the backstory of the politics is not forced upon the reader through word vomiting. A lot of the history and world building of The Last Namsara is tied into the lore and the stories that are interspersed in the novel. It reminds me of The Thief by Megan Whalen Turner in that way. The lore created for a novel, like any mythology, allows the reader insight into the way that the people in the novel understand the world. It's really one of my favourite parts of fantasy novels, to learn and understand the religions that these worlds worship and the mythology that surrounds it. Stories play an important role in this novel as they are what draws dragons out of hiding and allows them to breathe fire. Moreover, telling the stories is outlawed in Firgaard and all the storytellers or "raconteurs" have all died, poisoned from the stories. Asha is fierce and strong, revelling in her dragon slayer and Iskari roles. She is exactly as one can expect a person to turn out, having been told that she is the reason that her city burned years ago through her storytelling. Her beliefs and values are constantly being questioned and tested throughout the novel and it is with great pleasure that I watched her grow and change. Thorwin is one of those who challenge her. He is a skral -- the group enslaved by Asha's grandmother. As a slave, he is not allowed to touch a draksor (the nobles) nor look them in the eye. To do so is to ensure a punishment. Thorwin is unafraid of Asha and he manages to shed some light to the truth for her. I really could go into how dragons are an obvious metaphor for story and dragon slaying is censorship but I feel like I'm reaching. 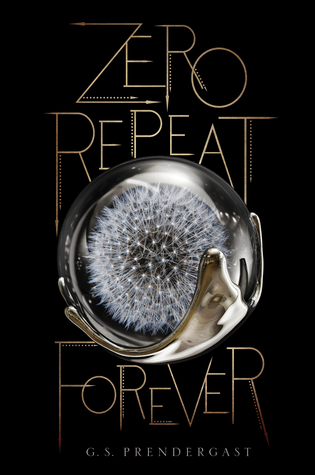 I highly highly enjoyed this novel and I absolutely can't wait for the next one. I hope that there's a map in the next one too! I'm just awful at visualizing imaginary lands and maps definitely, while being gorgeous, help me out with visualizing it all. 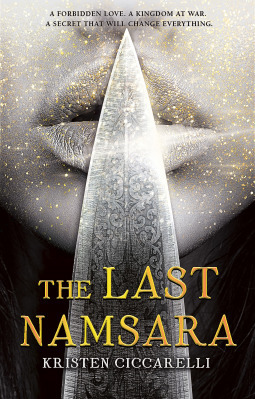 The Last Namsara is like How to Train Your Dragon meets The Thief meets The Winner's Curse. All of those things are stories that I love so how could I not have fallen in love with this novel too? YES! I'm so happy to see this book get love. I enjoyed it so much and cannot wait until the next! Sounds like I need to move it up my TBR!! YESS!!!! EILEEN!!! IT'S SO GOOD.